The one constant in Palestinian Seed Yousef’s incredible journey has been a steadfast dedication to peace activism. It’s no wonder, then, that his ambitions brought him to attempt change on a governmental scale. His career began with the Partnership for a Secure America, a think tank that advocates bipartisanship among US Congressional staffers, before serving as a foreign affairs fellow in the office of Senator Bernie Sanders, and now as a Manager of Congressional Affairs for the Chief Representative of the PLO to the United States. In many ways, Yousef’s story begins with his hometown in Gaza, where at the age of 15, he was shot in the back by an Israeli soldier. 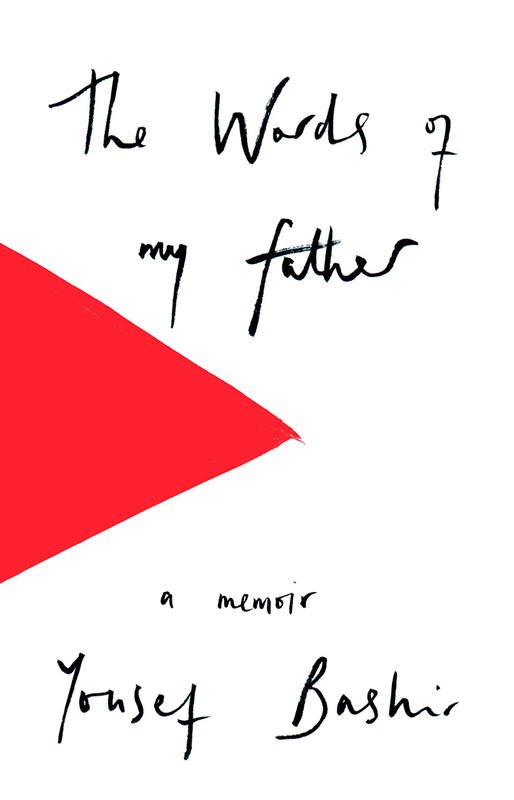 Yousef’s new memoir, The Words of My Father, recounts his experiences during that period, including his recovery at the hands of Israeli nurses and doctors. We spoke with Yousef about his book, the lessons in forgiveness, humanity, peace, and resilience that his father imparted to him, and the role Seeds of Peace played in his journey. Seeds of Peace: How did you get involved with Seeds of Peace, and how did your experience at Camp help shape what you wanted to do afterward? Yousef: I got involved with Seeds of Peace through the Palestinian Ministry of Education. After my recovery, I was eager to find a setting that encouraged me to share my world views with peers from around the world, especially from conflict zones. As a teenager, I was eager to speak my mind and challenge others to inquire about my points of view and personal values. The experience at Camp would live on with me as I grew older. It became a way of life for me, and a reason to be hopeful and optimistic. I came to believe that as long as Seeds of Peace lives on, the Israelis and Palestinians have a chance to live in a true, lasting peace. Seeds of Peace: What inspired you to write The Words of My Father? Yousef: The short answer is my father. I have been a public speaker ever since I first got to present my story to the Seeds of Peace Camp in 2005. Since then, I have presented countless times before numerous groups all across the United States. After every presentation, someone would come up to me to encourage me to publish my story as a book. The words of my father and my determination to do all I can to advocate for Palestinian independence made it clear I had to sit down and start writing. Seeds of Peace: Was there anything from your experience at Seeds of Peace that you thought about in writing the book? Yousef: Of course. The Words of My Father essentially begins when I was 11 years old and ends around the time I moved to the United States when I was 16. My experience at the Seeds of Peace Camp was among the most cherished, unique experiences I have. The most memorable one, that I also wrote about in the book, is when I insisted on playing street hockey in spite of my wound and ended up at the infirmary. That was when the entire camp learned about my story for the very first time. That first experience of sharing my story with others remains inspiring and powerful to me. Seeds of Peace: In both The Words of My Father and at Camp, a major theme has been the need to cultivate empathy for, and dialogue with, the “enemy.” Since then, you’ve worked in the United States Congress, where those values seem to be in shorter supply. Was that transition jarring? Has there been anything about navigating the partisan gridlock that proved particularly exciting or challenging? Yousef: It was unsurprisingly jarring, and that is why I decided to work on the Hill. I felt that as a Palestinian, I needed to be where I am not expected to be. I am convinced that Palestinians are not represented fairly on the Hill, and if they are, it is always controversial. Seeds of Peace: If readers could only take away one thing from The Words of My Father, what would you want it to be? Yousef: This book is for Americans, Israelis, Palestinians, and all the other human beings who tirelessly work for the advancement of peace and reconciliation among the peoples of the world. I hope that readers will come to appreciate how resilient Palestinians have been in the face of occupation and segregation, and how determined they are to have their rights as a people recognized. Seeds of Peace: Lastly, The Words of My Father documents the realities of coming-of-age during the Second Intifada. What words do you have for young people living through the current conflict in Gaza, or young people in general who are trying to reckon with the conflict? Yousef: The situation is no different today. All Palestinian teenagers have been traumatized to some degree. This tragedy has been going on long before the recent demonstrations, in which 129 civilians were killed by Israeli snipers and thousands young protestors were left crippled forever. I hope my fellow Gazans can continue to keep their heads high and never give up on their dreams for a peaceful and respected life. Injustice must not be allowed to prevail. There has to be a way to meet the needs of both Palestinians and Israelis, without compromising the wellbeing of either. We continue to be inspired by Yousef’s dedication to dialogue and peace, and congratulate him again on completing his memoir! The Words of My Father will be available starting September 24 from Haus Publishing. Any words or questions Yousef about his experience with Seeds of Peace? Let us know in the comments below.